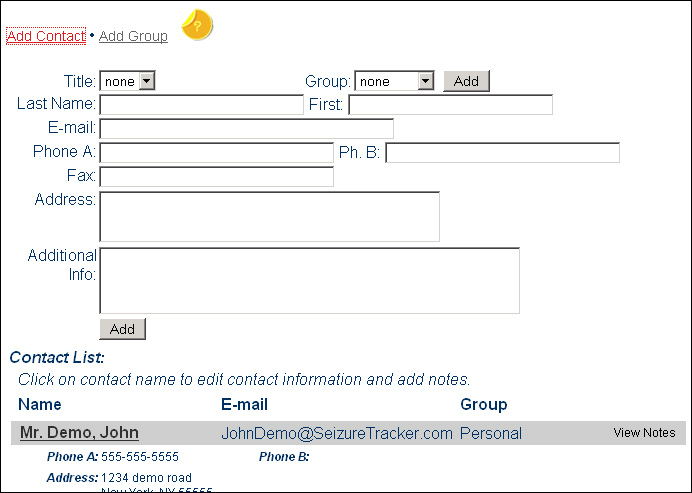 From the Seizure Tracker "Contact Manager" page users have the options to add a new contact to their contact list. -Clicking on the "Add Contact" link in the upper left corner will reveal the add contact tool. -Enter in your contacts information and click the add button.